The City of Danbury will now have new stars and stripes standing tall in the city center, thanks to a generous donation from Savings Bank of Danbury. The rusted 65-foot flagpole overlooking Danbury’s Main Street has been removed and replaced with a new 100-foot steel pole and soon will display an impressive flag. For the past few weeks, the city has been hard at work, replacing the flagpole and refurbishing the city’s Civil War Monument in West Street Park – a small, triangular island with a large oak tree between the Danbury Library Plaza and Naugatuck Valley Community College. The American Flag and Pole Re-dedication Ceremony will be held on Wednesday, June 14 at 4:00 p.m. 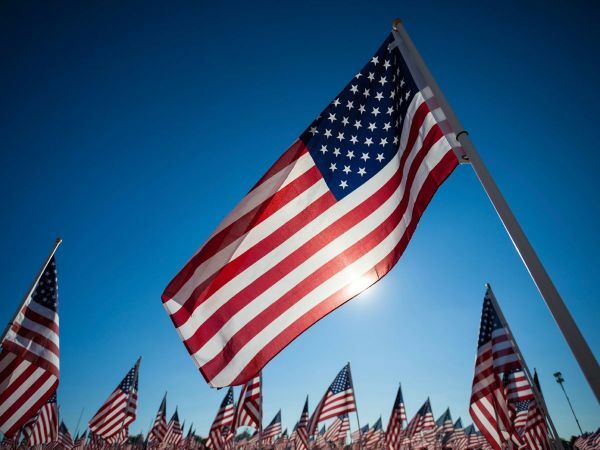 In conjunction with the flag and pole dedication, Savings Bank of Danbury will be celebrating Flag Day, raising funds to support veterans and active military personnel. Starting June 5, all Savings Bank of Danbury branches will be selling red, white or blue stars, and the stars will proudly be displayed in the branches. The bank will match up to $2,500 of the funds raised. Savings Bank of Danbury will then present a check to Help Our Military Heroes, a locally run organization that prides itself on improving the lives of our wounded military heroes through mobility and independence.